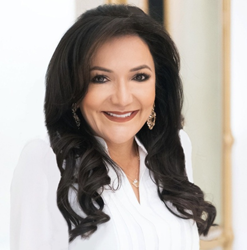 Workforce solutions powerhouse Pinnacle Group today announced the election of its Chairman and CEO Nina Vaca as a member of the U.S. Council on Foreign Relations (CFR). Vaca will bring more than 15 years of international relations experience to her new role at one of the nation’s most respected independent and nonpartisan groups dedicated to helping people better understand the foreign policy choices the United States and other countries face today. For leaders across industries, it’s critical to understand foreign policy and the role we play in the international community – both as Americans and as citizens of the world. Pinnacle Group is pleased to announce that its Chairman and CEO, Nina Vaca, has been elected as a member of the Council on Foreign Relations (CFR). Vaca brings a wealth of diplomatic and business experience to the CFR, a prestigious group of the nation’s most respected leaders in government, business, journalism, education and beyond, which provides nonpartisan foreign policy analysis. Vaca’s extensive international relations career began 15 years ago when she was selected as a German Marshall fellow to join a U.S. delegation to five different countries in Europe. She then became a British-American Project fellow working to strengthen transatlantic leadership. She has remained active in both organizations by nominating and supporting future generations of fellows. In 2014, the White House appointed Vaca as a Presidential Ambassador for Global Entrepreneurship (PAGE), an initiative chaired by then Secretary of Commerce Penny Pritzker, a fellow CFR member. As part of the inaugural PAGE delegation, Vaca shared her incredible personal and entrepreneurial story with government officials, business leaders, and other dignitaries in eight countries across five continents, including Ghana, Vietnam, Bahrain, Jordan, Germany, Israel, Ireland, and her home country of Ecuador. In 2016, Vaca became a Henry Crown Fellow and a member of the Aspen Institute’s Aspen Global Leadership Network, a worldwide community of over 2,500 high-integrity, entrepreneurial leaders from the business, government and nonprofit sectors in more than 50 countries. During this Fellowship, she founded the Nina Vaca Foundation and created the Tri for Homes Campaign in 2017 to help build a village for those left homeless by the 2016 earthquake that devastated Ecuador’s coast. The “Villa de la Alegria” was officially opened in 2018, providing 40 families with homes and 1.2 acres of land each. These families can now plant crops and create a sustainable economic platform to help rebuild their lives through farming and entrepreneurship. Pinnacle Group is a leading provider of workforce solutions headquartered in Dallas, Texas. Founded in 1996, Pinnacle Group’s core services include talent acquisition and management, managed services (MSP), and payrolling. With an unwavering commitment to client service and a specialty in analytics and emerging technologies, Pinnacle Group provides transformational outcomes to primarily Fortune 100 clients. Its Pinnacle Talent Communities platform utilizes machine learning (ML) and proprietary algorithms to help match talent with opportunity and maximize utilization rates. Pinnacle Group is consistently named one of the fastest-growing companies in the country and was named fastest-growing women-owned company in the country by the Women Presidents’ Organization in both 2015 and 2018. For more information, visit pinnacle1.com. Nina Vaca is Pinnacle Group’s Chairman and CEO. She is one of the few Latinas in the nation serving as a director on the boards of publicly traded corporations. In addition to her business leadership, Vaca is a civic leader and philanthropist, working relentlessly to expand opportunities for minorities and women in business and for women and girls in STEM fields in the U.S. and around the world. For information and resources, visit NinaVaca.com.